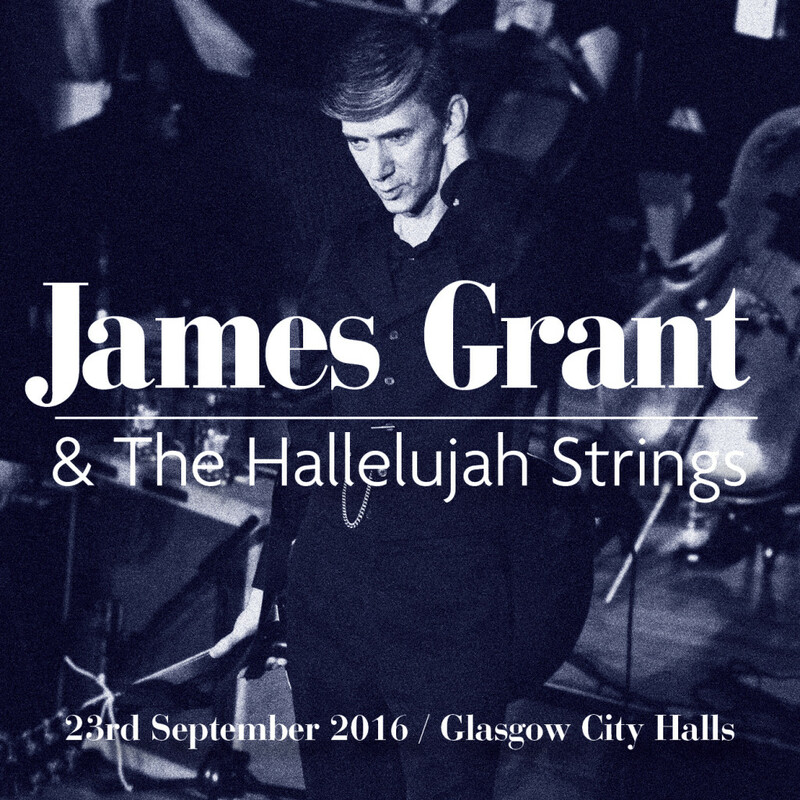 JAMES GRANT is one of the most renowned and respected performers Scotland has ever produced. The LOVE & MONEY frontman returns with his band and his own bespoke orchestra THE HALLELUJAH STRINGS following his two emphatic sell out shows at Celtic Connections 2016. Expect classics old and new; Strange Kind Of Love, Whisky Dream, Walk The Last Mile, I Can’t Stop Bleeding, Winter, Does It All Add Up To Nothing, Jocelyn Square, My Thrawn Glory and more.. The concert will be at GLASGOW CITY HALLS on the 23rd SEPTEMBER 2016. The venue will have a special resonance with Love & Money fans; this was where the first public performance of their classic album Dogs In The Traffic took place, 25 years ago.